Some time around February 6th, an unknown monster began illegally shooting rescued ducks, geese, coots and other shore birds at the community pond where we placed the rescued Sugarhouse Park ducks. 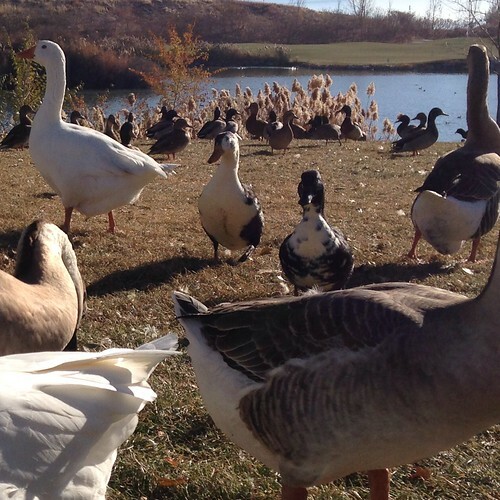 The pond was also home to domestic geese relocated from Wheeler Farm as well as a whole group of rescued pekins and more. 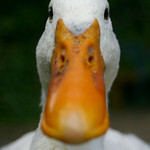 Residents who feed and care for the rescued flock were devastated to find their beloved rescues dead and injured. Both Orem Police and the Utah Division of Wildlife Resources are working to find the criminal(s) responsible for this senseless, disgusting tragedy. 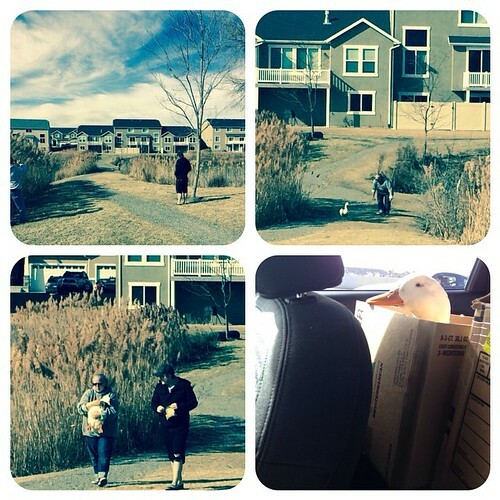 As we learned of the tragedy, we went down to the pond to see how we could help. 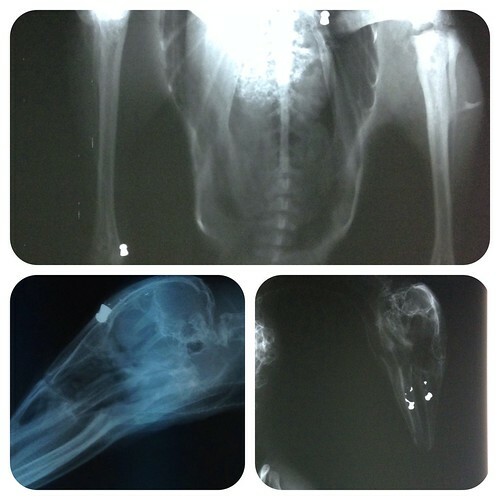 Birds that weren’t killed instantly by airgun pellets have now started to succumb to their injuries. 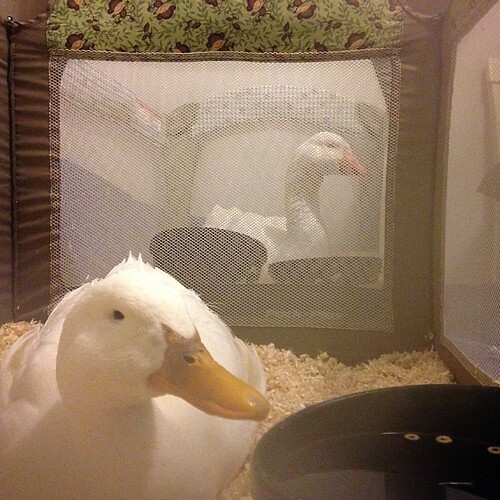 We were able to catch a pekin named Sherman, and pick up a goose named Juliet-Pumpkin. These two are very seriously ill and now in our temporary care. Sherman duck and Juliet-Pumpkin goose have already racked up $239 in emergency veterinary bills, and tomorrow I expect it could cost another $500+ as Juliet-Pumpkin has surgery to remove SIX pellets from her face, wing, body and knee… and Sherman returns to the vet for a scope to see why he’s not eating. If you can help support Sherman and Juliet-Pumpkin through their recoveries, we would all be very grateful. We are coordinating their care and recovery, so you can donate via PayPal through us. But please note, we are not a non-profit, so your donation is not tax deductible. Your deduction will go directly to their vet bills though, in its entirety. You can also donate directly to their veterinarians on Tuesday, February 16th only, from 9am-1pm by calling 1-801-943-3367 and saying you’d like to donate to “Tiffany Young’s care of the duck and goose from the Orem shootings. Dr. Laurel Harris and Dr. Lindsey Woods of Wasatch Exotic Pet Care are treating Sherman duck and Juliet-Pumpkin goose at a great discount. They aren’t billing for their time, just for the cost of supplies, diagnostics and medications. This is a great help to us and we’re so thankful for their generosity. We will continue to keep everyone updated on our own Facebook page as well as the Golden Pond Facebook page. Thank you for helping us do all we can to help these two surviving individual birds, whose lives matter to so many community members.